Providing you the best range of microsoft visio professional 2016 with effective & timely delivery. Support Operating System Windows 7 SP1 to Windows 10, 32-bit or 64-bit OS only. Processor 1 GHz Processor with SSE2 Support. 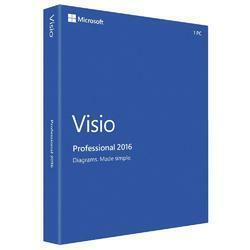 Looking for “Microsoft Visio Professional 2016”?